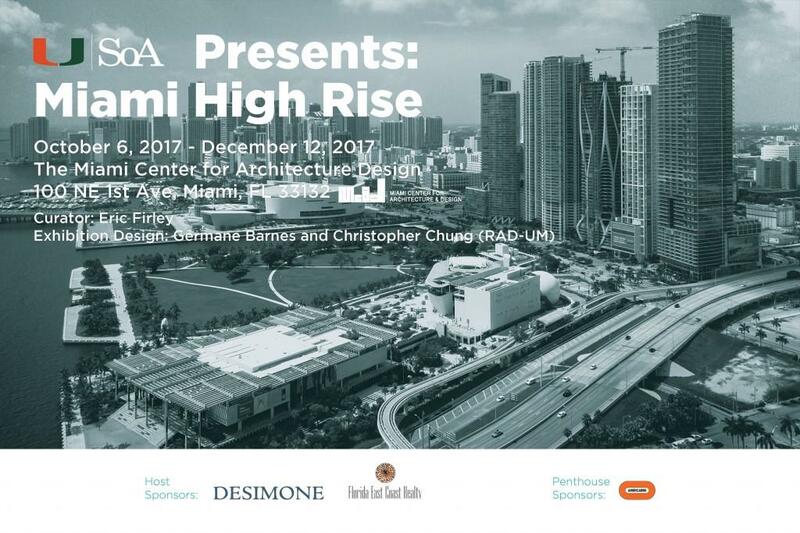 Miami High Rise | Miami Center for Architecture & Design, Inc. Celebrating the Magic city’s spectacular conquest of the sky, with an emphasis on recent and future construction, the exhibition documents Miami’s development from the Downtown boom of the 1910s to the rise of Brickell as an international banking hub, the legacy is drawn. Understanding the high-rise as an inherent component and expression of the local city culture rather than a simply functional building phenomenon. MCAD invites a wide audience of citizens and professionals, to a journey through time, featuring urban and architectural artifacts from the city’s major expansion periods. On the ground floor, existing columns will turn into iconic towers, projector screens are directed at the vaulted ceiling and wall sections to convey a surreal experience of exterior and interior high-rise environments. The center’s upper floor will be dedicated to the future, showcasing new technologies that will define the next generation of high-rise construction.